I can’t profess to be a miso expert. My knowledge is mainly from miso soup and miso based ramen. So I won’t be an expert on how this lives up to its heritage. 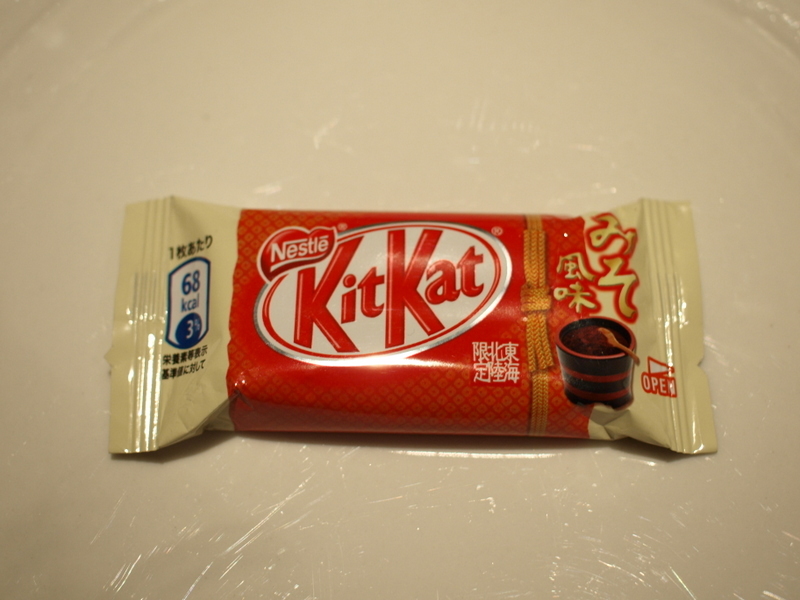 But I can comment on the kit kat. What's with all the white chocolate? 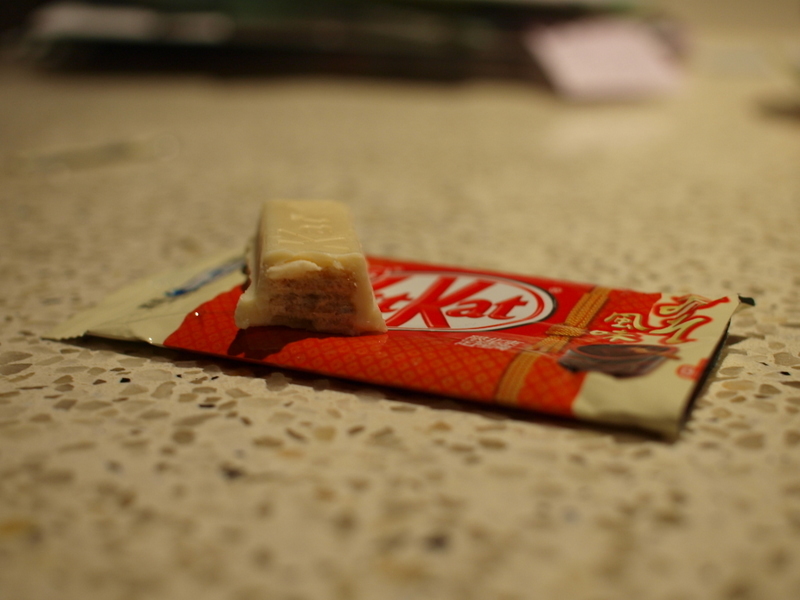 Another white chocolate based kit kat. That seems to be the go. To be honest I am not sure why. 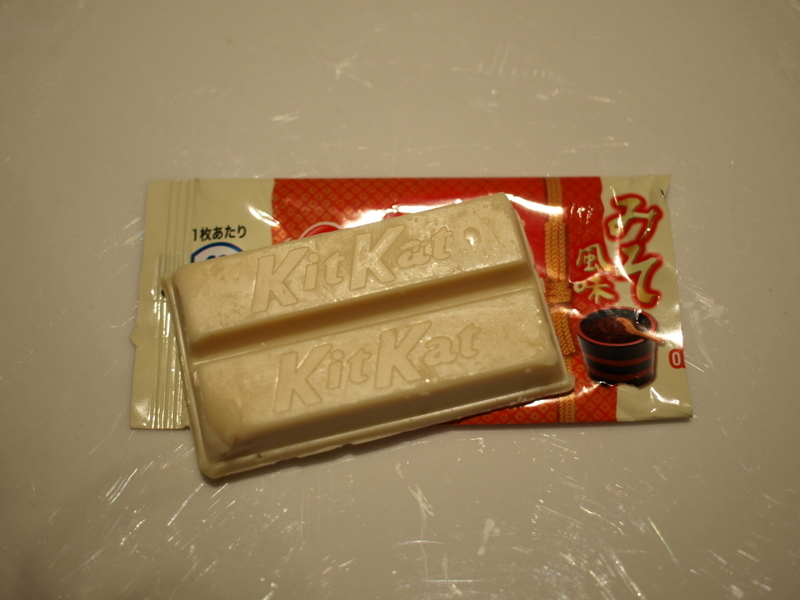 It certainly highlights the sweetness… maybe the regular chocolate flavour messes with the flavours too much. As you can see, the wafer is pretty stock standard. But how does it taste? Good. Great in fact. Not in a strange way at all. It reminds me of the Soy Sauce flavour (which I will properly review later). You think it might be funky, but it isn’t. In some ways that is a disappointment, but it means that I am more than happy to polish off the few that I have. The taste for me was kind of a caramel/maple kind of flavour. A deep, sweet taste. It tastes like a regular chocolate might. In many respects it is less strange than the citrus one since they are flavours you wouldn’t normally associate with chocolate, whereas this tastes fairly natural. If you are looking for strange, this isn’t for you. But for tasty? For sure. I think I need to have some miso ramen. Mmmm…like caramel and maple, sounds good to me!